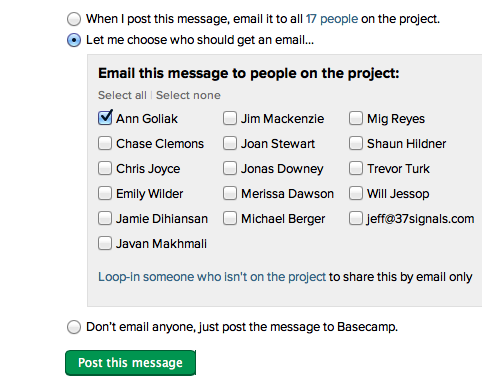 The Loop-In feature allows you to involve anybody in a discussion thread via email, without actually giving them access to your project or Basecamp 2 account. The person you loop in gets an email notification with the full history of the discussion thread – and nothing else. If they reply, their response is added to the discussion thread, but they can't click through to open your project or your account. If people need to be more involved in your projects, but you still want to keep things off limits, check out client projects. Watch a 📹 quick video to see how easy it is to loop people in! Click the link to loop someone in below the notification checkboxes. You'll see the option to add email addresses. 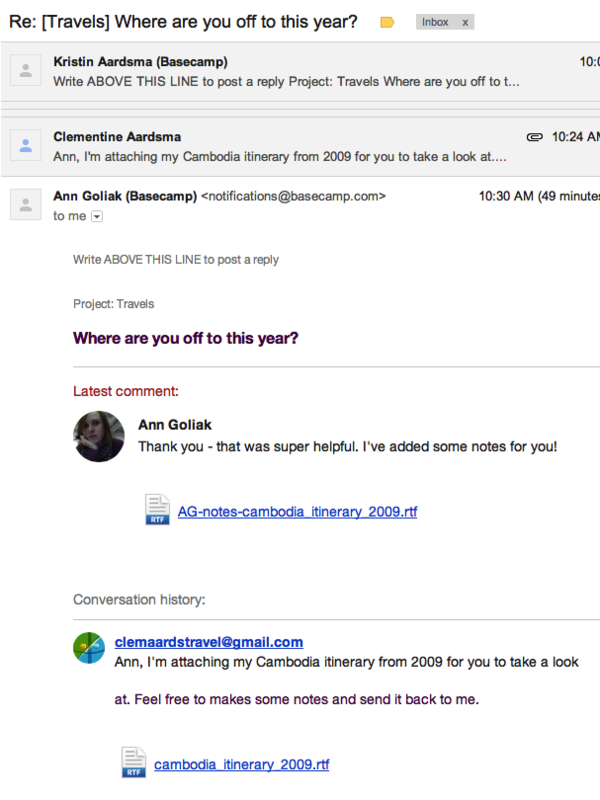 Looped-in people see the message thread as if it were a regular email thread in their inbox. Clicking the link will take them to a new browser window where they can download the file. Click to download the file, and they'll be all set!